Egypt is one of the most popular slot themes. There are so many games featuring ancient Egyptian gods and goddesses, pharaohs and other related symbols. 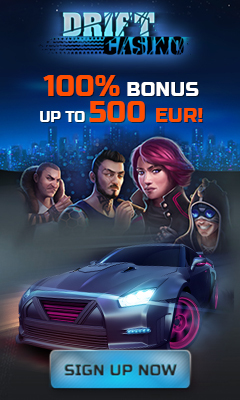 But developers still think there aren’t enough of these mysterious creatures at online casinos. On December 11, 2017 BetSoft Gaming released Legend of the Nile video slot. This latest addition to their slot collection is different from all Egyptian themed games we’ve played so far. It has the 6×6 reel set and exploding wins. To land a win, there should be at least four of the same symbols sharing the same border. 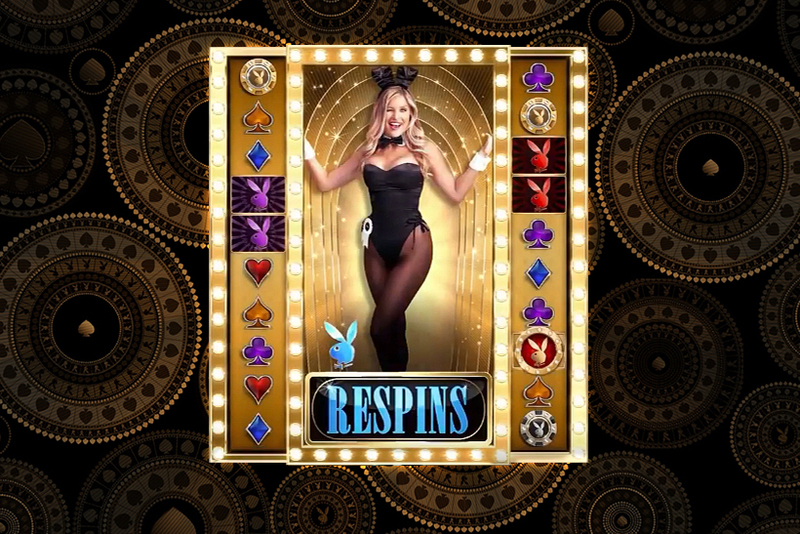 This new game offers progressive jackpot that can be triggered by a number of Ra symbols landed in one spin. 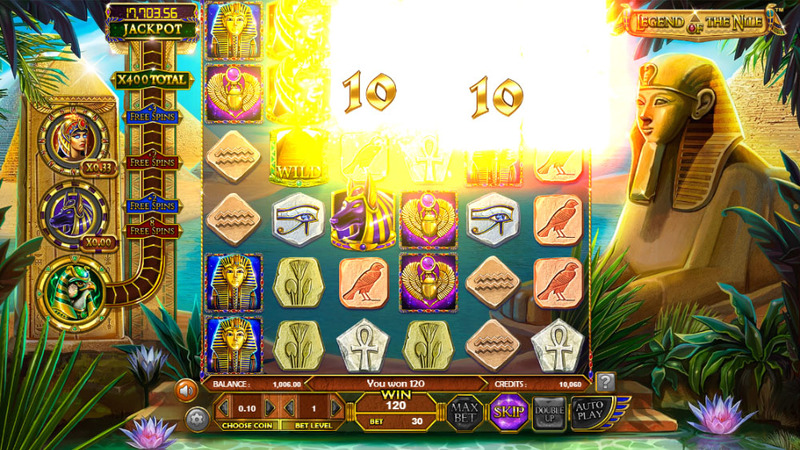 Besides jackpot, players can trigger several features, each corresponding to one of three gods. Keep track of what’s going on on the left side of the screen. There are ISIS and Anubis Trails and the Ra Power Bar. Ra is the boss here. It’s a scatter symbol that pays regardless of its position. Even a single Ra symbol will award you some credits. When this element lands on the reels, Ra Power Bar advances and if at least 8 of them appear in a single spin, players get rewarded with free games, a huge multiplier or a progressive jackpot. 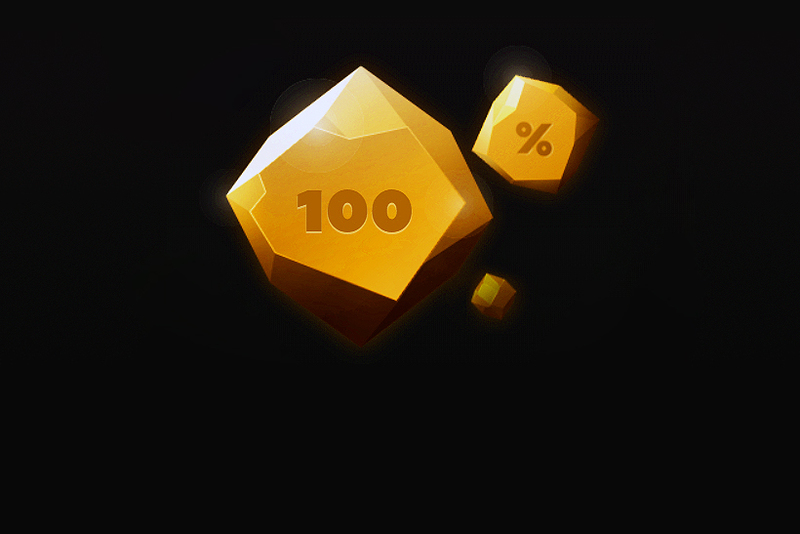 17 Ra symbols award 400 times player’s bet, to hit the jackpot there should be 20 of them. This isn’t simple. But considering winning clusters explode and then empty space is filled by upper or new symbols, landing a grand win seems to be more or less possible. ISIS and Anubis trails advance with each winning combination of the corresponding symbols. When the trail is completed, 10 special free spins get triggered. That’s another chance of getting nice payouts. 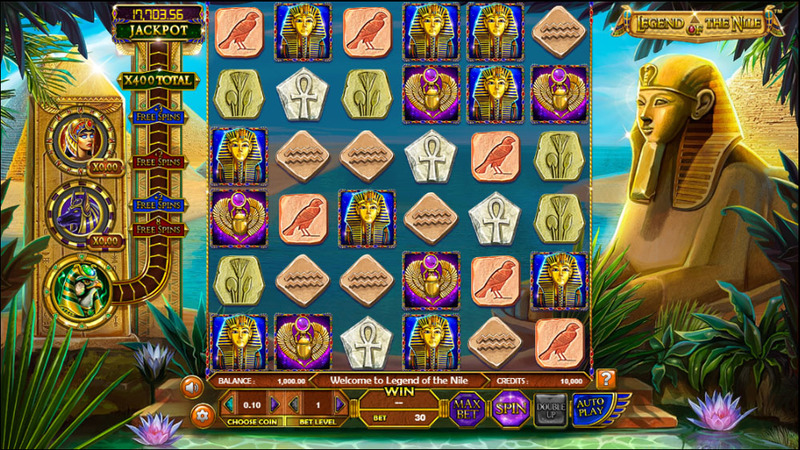 Legend of the Nile is a great, visually stunning video slot. Despite very popular theme, this slot feels unique. One of the things worth mentioning is the Double Up feature that adds extra thrill to gaming experience. This feature used to be very popular in the past, but developers don’t use it often today. On December 11, 2017 BetSoft Gaming released Legend of the Nile video slot. 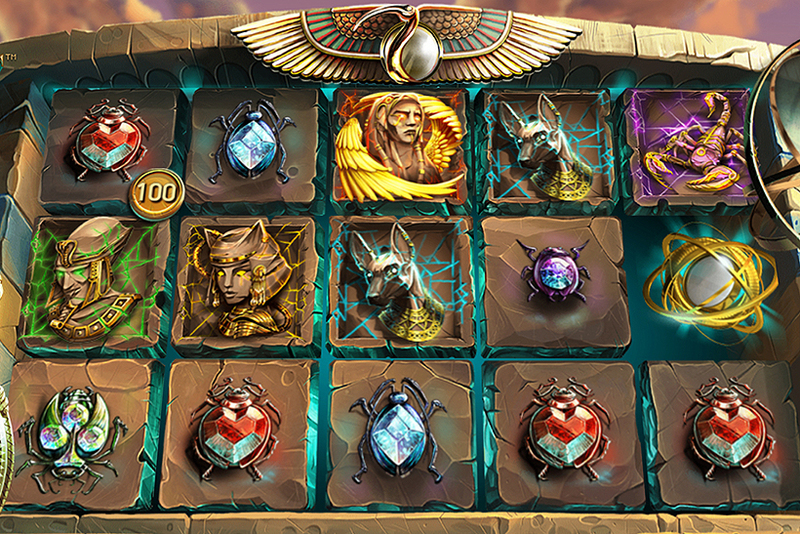 This latest addition to their slot collection is different from all Egyptian themed games we’ve played so far. It has the 6x6 reel set and exploding wins. To land a win, there should be at least four of the same symbols sharing the same border. 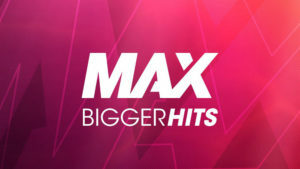 Player at BitStarz lands a total of $112,402 during nightly winning spree!